We've all heard that breakfast is the most important meal of the day...we don't know if that is true, but we can assure you it can be the most delicious meal of the day! 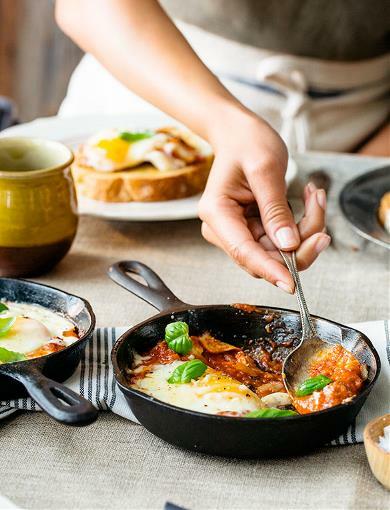 Try our new breakfast recipes to get your day started or linger over a weekend brunch - either way, Tuttorosso is here to make mornings a little more bearable! 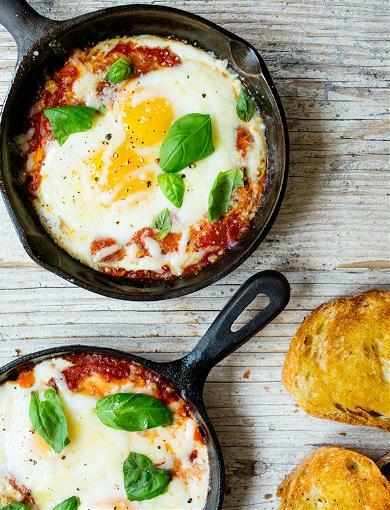 Creamy eggs in a baked in a yummy marinara. Perfect dish for breakfast, brunch or how about breakfast for dinner?! 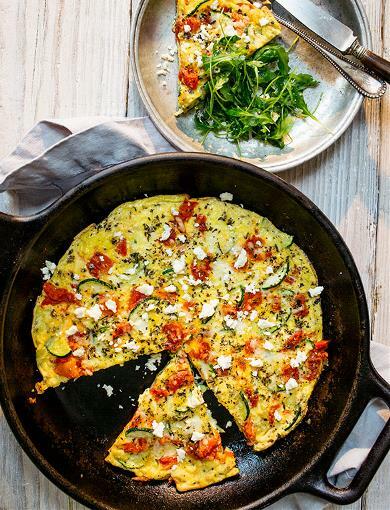 We put a Mediterranean spin on a basic frittata to make the most flavorful breakfast dish! Zucchini, oregano, tomatoes and feta cheese will wake your taste buds and beg for more! Eggs is a go to breakfast choice for many. This dish makes you feel less like a short-order cook when cooking for a crowd. Chef Hugh Acheson created this dish using our crushed tomatoes so you can enjoy your guests while they help pour the juice and set the table. 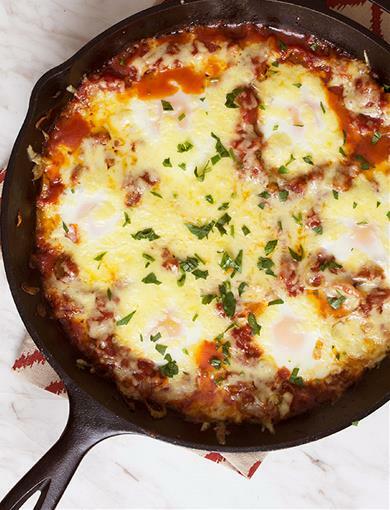 All your favorite breakfast foods in a skillet with a spicy kick! 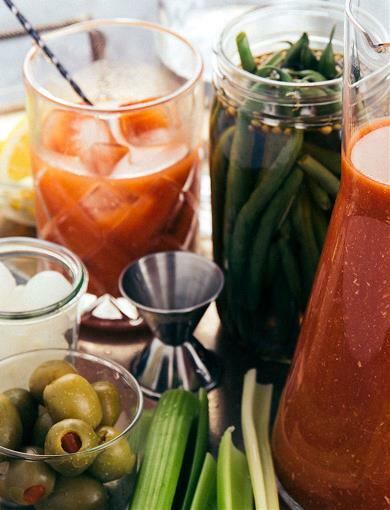 The best Bloody Mary you can make from scratch! Make it the night before so the flavors have time to come together and you'll have the perfect pitcher of Bloody Mary’s! Making a mix from scratch may sound complicated, but you likely have most of these ingredients on hand.